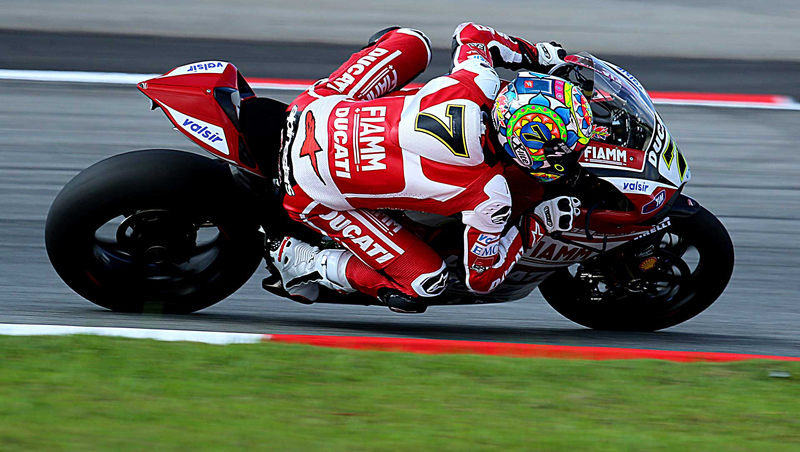 Motogear | WSBK, Jerez: Davies Dominates with his 4th double win of the championship! The penultimate round of World Superbike delivered a great show under the heat in Jerez this October. 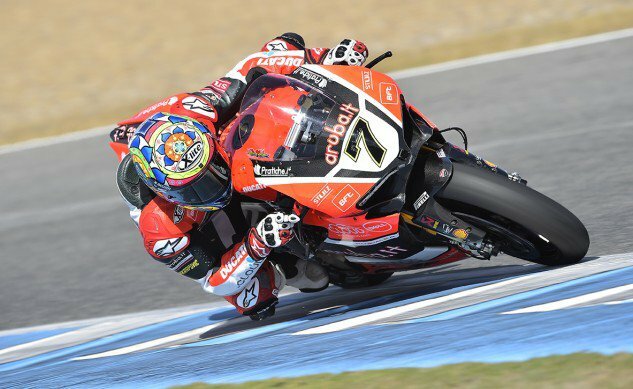 Chaz Davies has achieved yet another double win; the X-lite pilot produced two perfect races races in Jerez thereby making this his 4 double win in succession, after his double victory at Magny Cours last month. A delighted Davies said; “To win four races in a row is just unreal. Lately I’ve been very confident and able to push 100 percent every lap, just dancing on the bike”. Davies opened the race at position 6 on the start grid of race 1, but by the end of the 1st lap, the British champion was leading the pack. Davies gives credit to his successful win by affirming that “the key was to manage the grip. I was a little mindful at the start, because the hotter conditions made the track slippery, but in the end I could see the gap building and then it was just a case of bringing it home”.